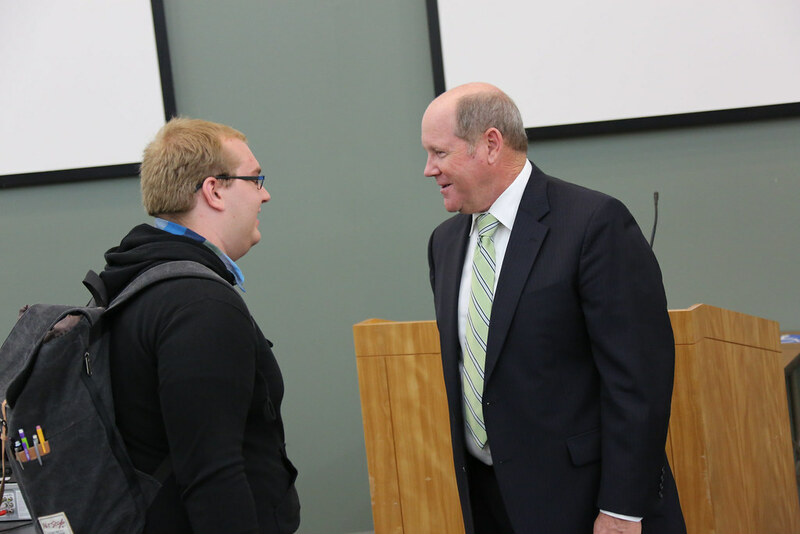 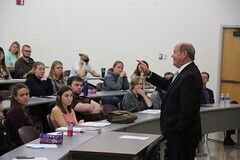 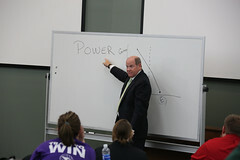 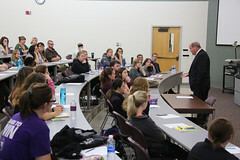 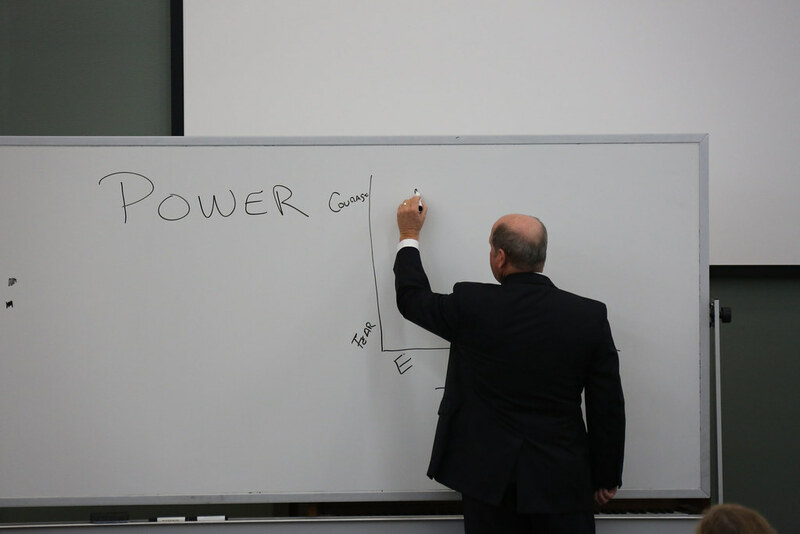 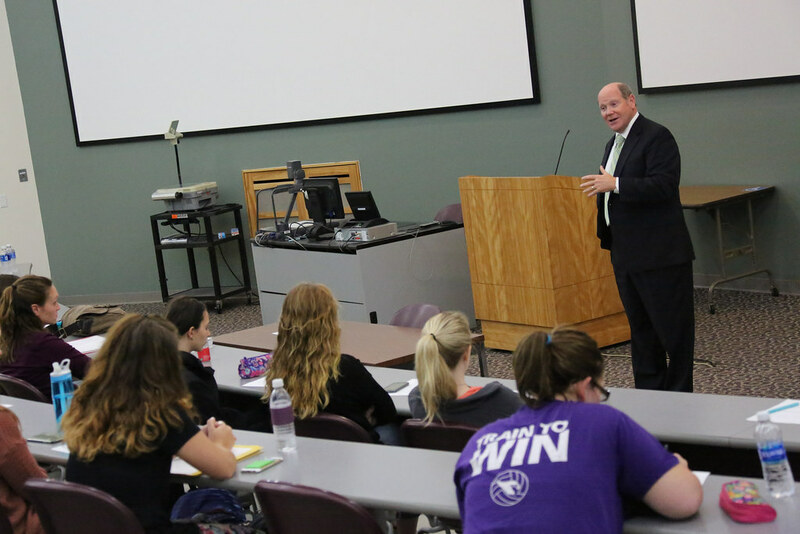 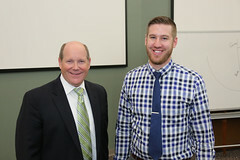 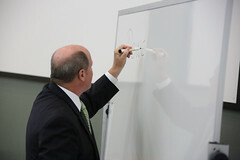 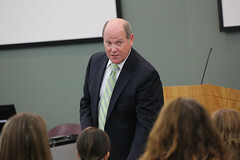 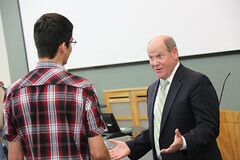 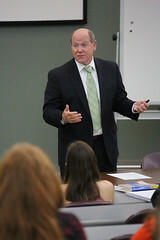 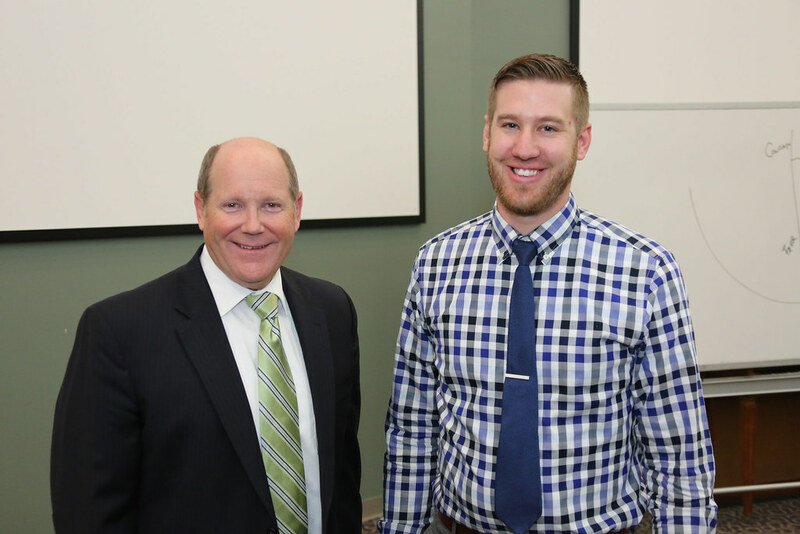 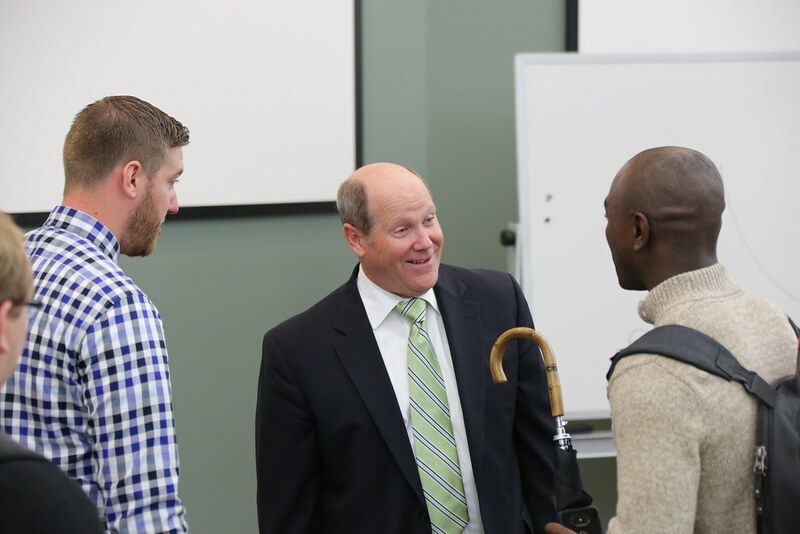 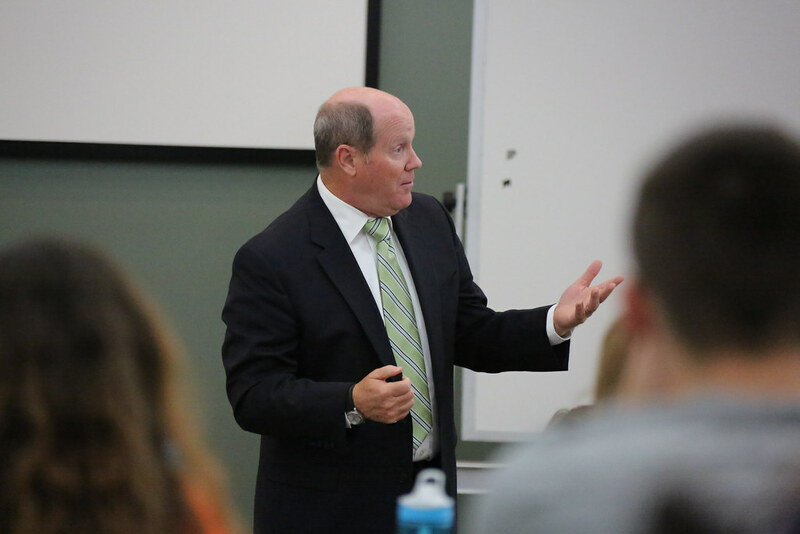 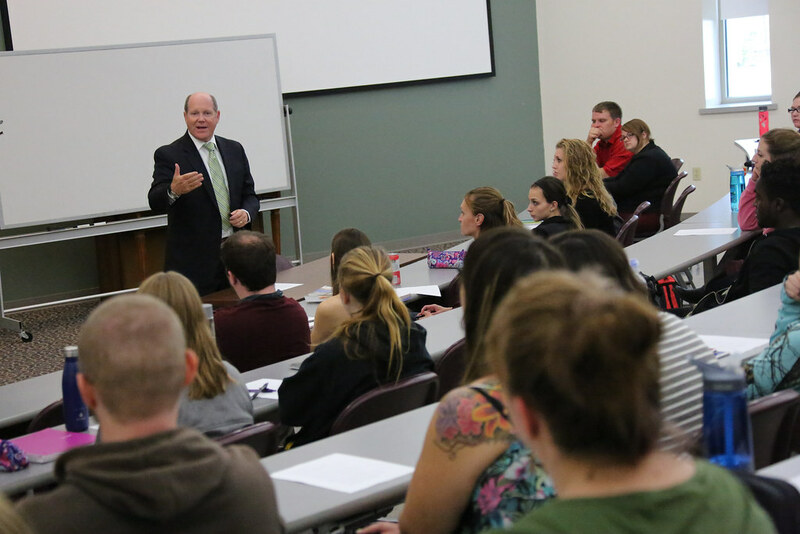 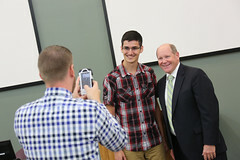 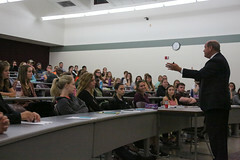 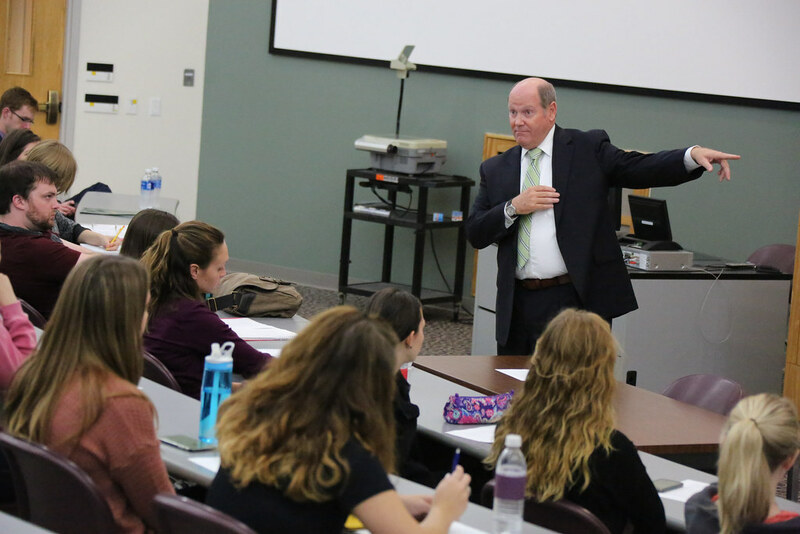 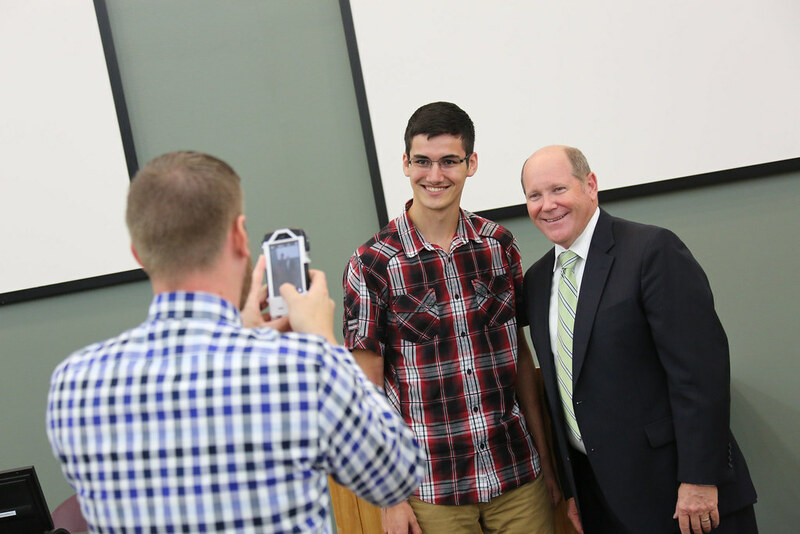 Congressman Reid Ribble was the invited guest of Prof. Aeron Weinschenk’s Introduction to Public Policy class this week. 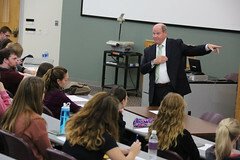 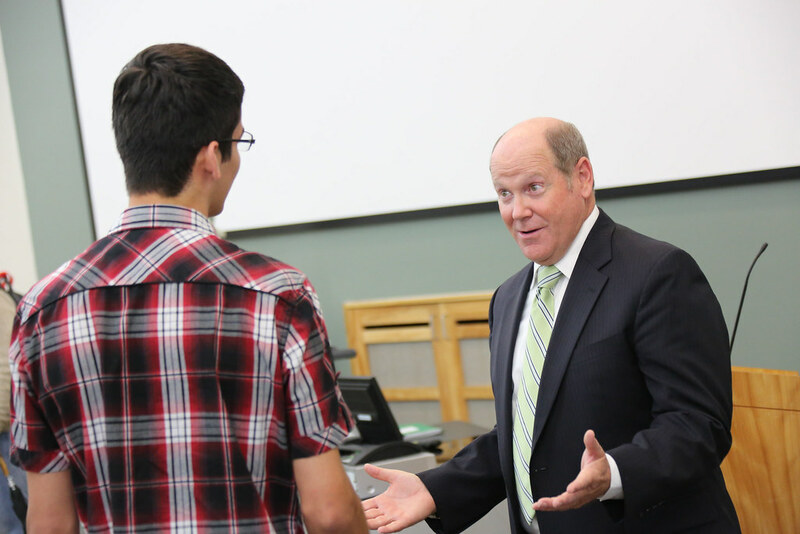 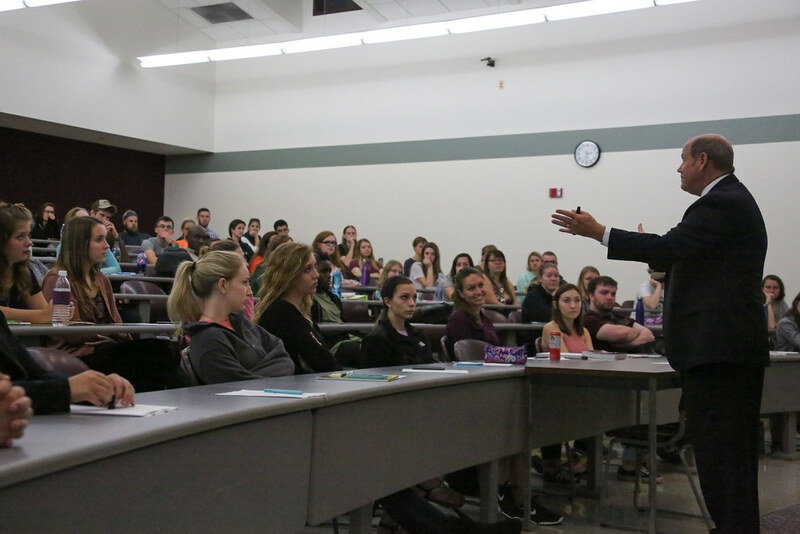 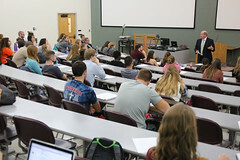 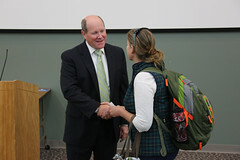 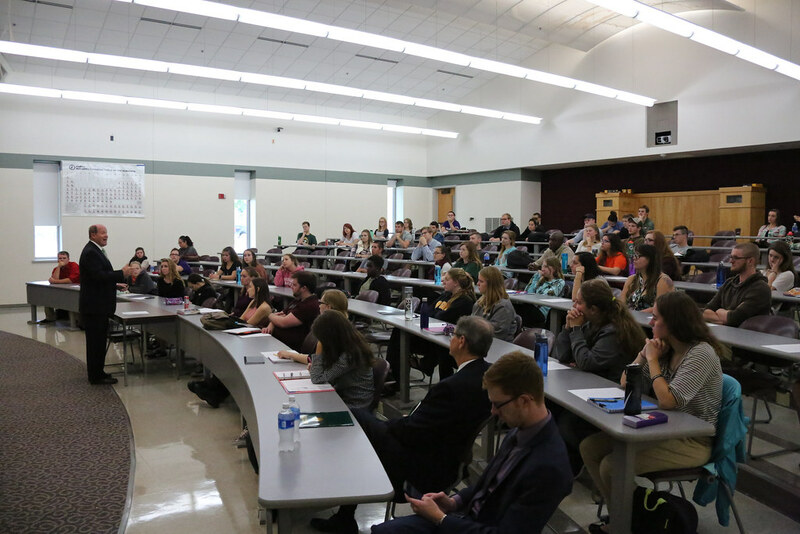 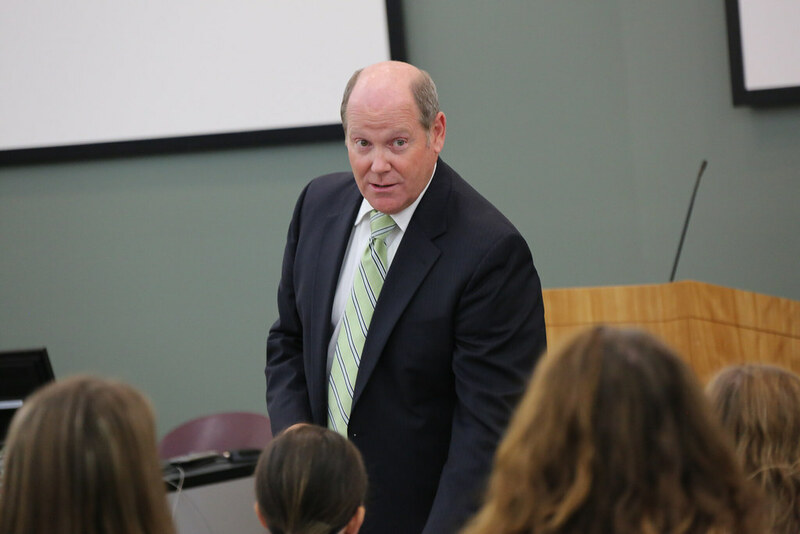 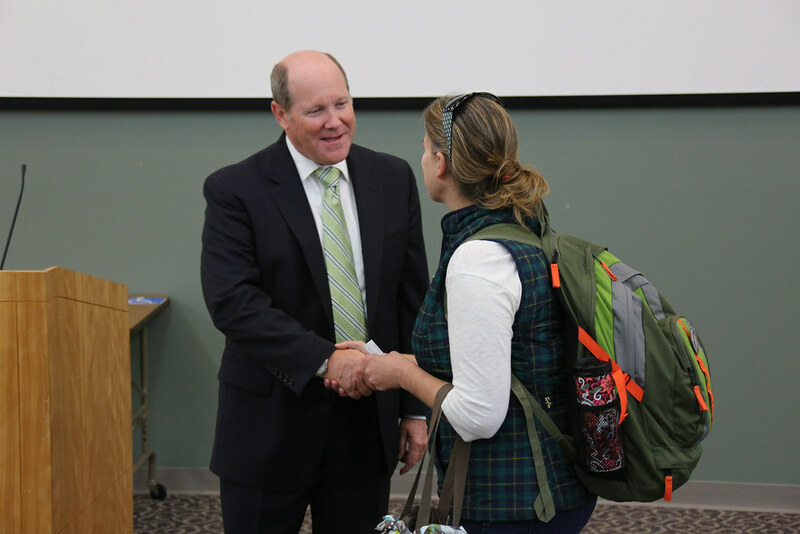 Ribble spoke about the importance of elections in holding government accountable, the role of members of Congress, and his experiences working on legislation. 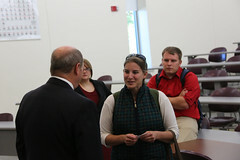 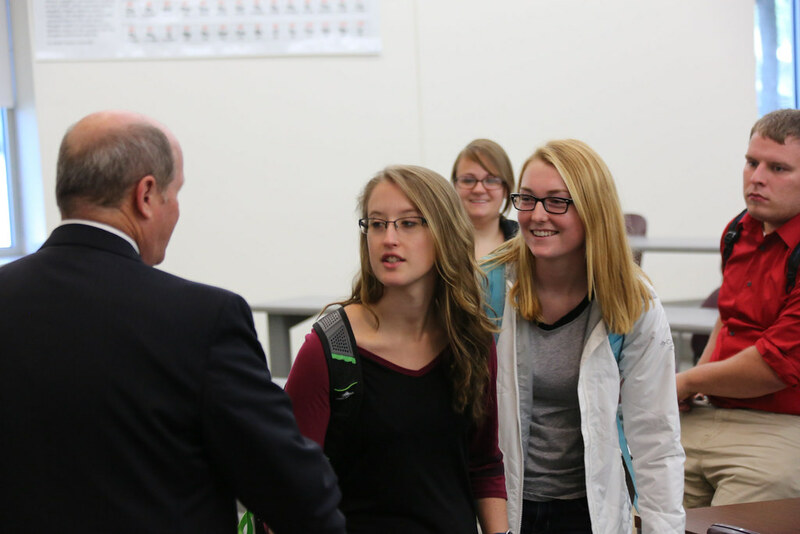 Students were able to ask him questions for about 45 minutes. 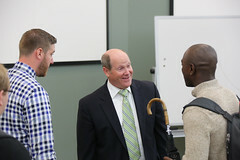 Chancellor Gary Miller attended as well. 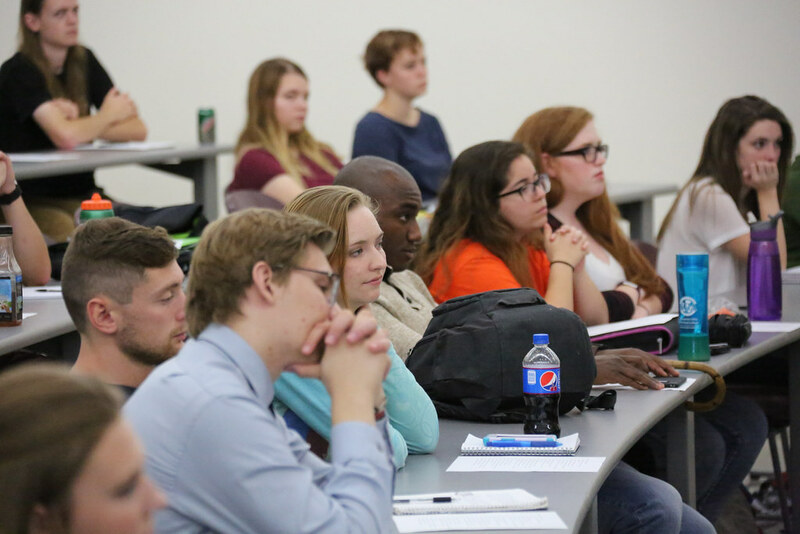 This entry was posted in Events, News, Newsroom and tagged Photos, Political Science on October 5, 2016 by Daniel Moore.